The Velocity Crate was released in the 4.12.17 update for Rocket League and contains one of the following 4 rare decals: 1 very rare wheel, 1 very rare paint finish, 1 very rare trail, 1 import body, 1 import wheel, 1 import rocket boost, 2 exotic wheels, 4 black market goal explosions. The items are Slimline (Octane), Smore’d (Breakout Type-S), Odd Fish (Aminus GP), Mummified (Endo), Yuzo (Universal Wheels), Anodized (Universal Paint Finish), Zigzag (Universal Trail), Snakeskin (Mantis), Imperator DT5 (The Exclusive Body), Hiro (Universal Wheels), Fractal Fire (Universal Rocket Boost), Equalizer (Universal Wheels), Hikari P5 (Universal Wheels), Sub-Zero (Goal Explosion), Party Time (Goal Explosion), Duelling Dragons (Goal Explosion), Poly Pop (Goal Explosion). The crate design is quite nice and is coloured to be like standard Equalizer wheels, though the import body could be better in my opinion: the Snakeskin decal does not look good on the Mantis for certain colours. The Duelling Dragons reminds me of Hanzo’s Ultimate in Overwatch which is well animated. The Fractal Fire and Poly Pop make a good design choice for any car especially when you score a goal, while The Anodized paint finish makes any secondary paint finish look very shiny and new. The Zigzag trail has a good design and colour blending. 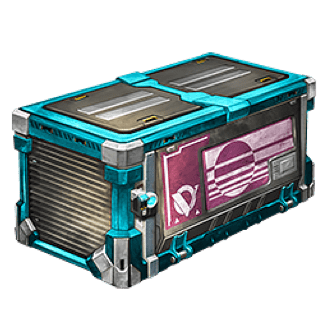 In summary, most items are a good choice especially when combined with other items from the crate. I would give this crate an 8/10.